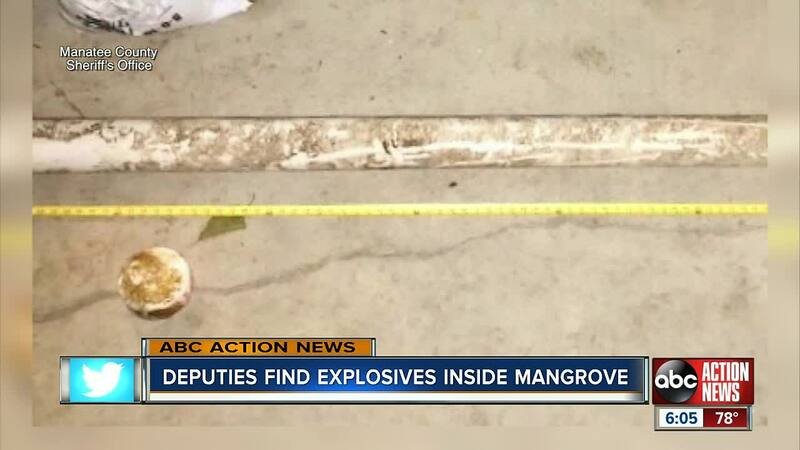 The Manatee County Sheriff's Office says a homeowner found explosives behind his home inside a large PVC pipe. TERRA CEIA, Fla. — The Manatee County Sheriff's Office says a homeowner found explosives behind his home inside a large PVC pipe on Saturday. Then he called the sheriff's office, who determined it did contain explosives. The Bomb Squad took the explosives to a nearby farm on Buckeye Road and conducted a safe detonation between 12:30 a.m. and 1 a.m. The sheriff's office believes the explosives were from years ago when used to form channels around Terra Ceia Bay.